New York–based architecture and design firm Aranda/Lasch by Benjamin Aranda and Chris Lasch won 14+ Foundation’s international design competition to design furniture for the Chipakata Children’s Academy in Zambia, Africa. The design, titled “Nesting Furniture,” is lightweight, movable, and weather resistant in response to the project's surroundings (both of Zambia and the school) and the materials and resources available in Sub-Saharan Africa. “Our design is a furniture system that uses the local craft of wattling, or twig weaving, to make many different configurations of furniture. Every element will be sourced and made locally by artisans in Zambia,” said Aranda in a press release. Aranda/Lasch is known for its modular, geometric approach to design and has created everything from houses and art venues to furniture and installations. Each piece of the “Nesting Furniture” series is flexible, with the smaller pieces neatly fitting into the larger pieces (hence the term nesting) and various arrangements of the seats and tables can be used for playing, eating, learning, and crafting. “Aranda\Lasch’s submission stood out to the jury as imaginative and beautiful, yet in other ways simple and practical,” Joseph Mizzi, co-founder of 14+ Foundation, said in a press release. “In addition, the ability for their design to move into a production phase relatively quickly, along with the capability for this furniture to be fabricated using locally sourced labor and materials, is perfectly aligned with the philosophies of our architecture and the core beliefs of our foundation.” Susan Rodriguez of Ennead Architects designed the Chipakata Children’s Academy with Frank Lupo and Randy Antonia Lott for 200 children in grades one through six. 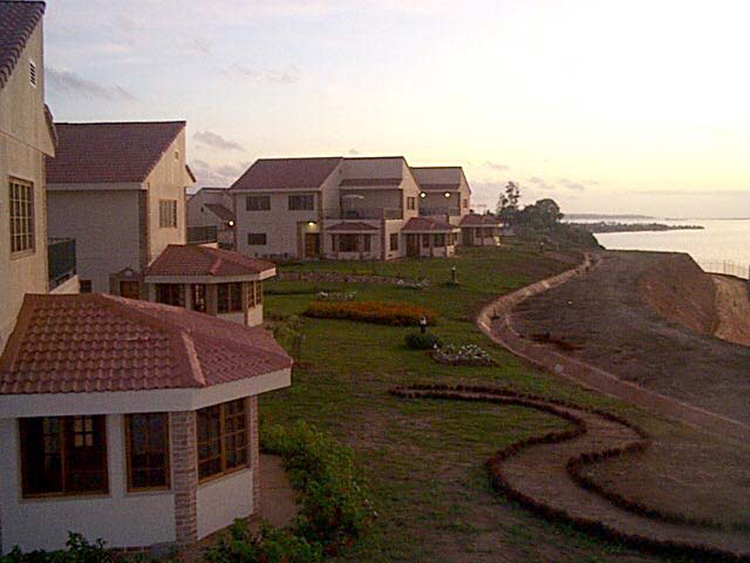 The facility also provides care for orphans and children in need in the local community. The 14+ Foundation, which sponsored the project, is a New York City–based nonprofit that focuses on providing education and art programs to children in need in Africa. It is currently developing its second project, Mwabwindo School in Mwabwindo Village, Zambia, with Selldorf Architects, slated to open January 2018. In 1991 EDI chairman and principal Victor Mirontschuk took an exotic gig in Angola, to improve the country’s infrastructure prior to a visit from Pope John Paul II. The country’s three bridges and numerous roads had been blown away, so the firm was tasked with rebuilding them. 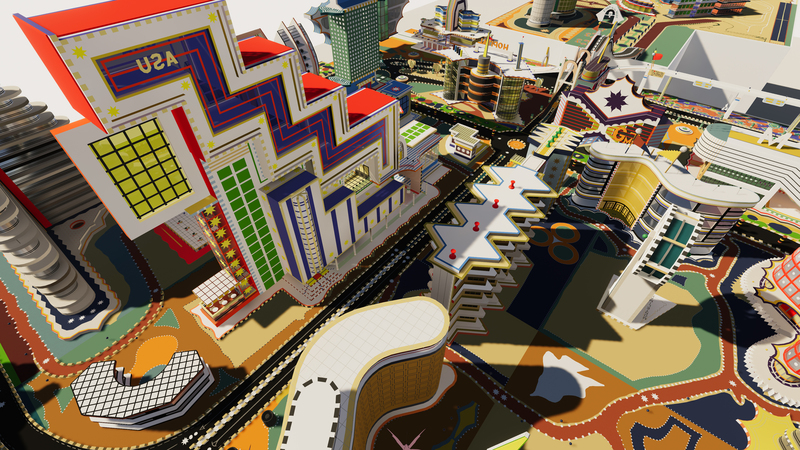 Since then, EDI has created numerous buildings in West Africa, but the experience was a little more than Mirontschuk bargained for. In addition to working during a volatile civil war, AN heard that the architect was shot at, nearly arrested for taking photos, had several of his buildings bombed, ended up on the receiving end of an AK-47, and dodged a mine field. “I didn’t even get hazard insurance,” he quipped, according to our sources. This is the first time in the Venice Architecture Biennale's 15 seasons that a "nation in exile" has been invited to set up a pavilion alongside established nation-states. The Western Sahara Pavilion, organized by Manuel Herz with the National Union of Sahrawi Women, engages the culture of the Sahrawi, an ethnic group from the disputed territory that was forced to flee into neighboring Algeria during a war with Morocco and Mauritania in the 1970s. Today, between 48,000 and 194,000 Sahrawis live in Algerian refugee camps, unable to return to a territory whose sovereignty is recognized by only 40 nations worldwide. As temporary spaces of exception turned into permanent places of residence, the Sahrawis adopted and invented novel sets of urban and architectural practices. Rabouni, the first camp established in 1976, became a capital of the semi-sovereign, displaced nation: The city contains a parliament, national archive, museum, and other institutions that confer permanence. 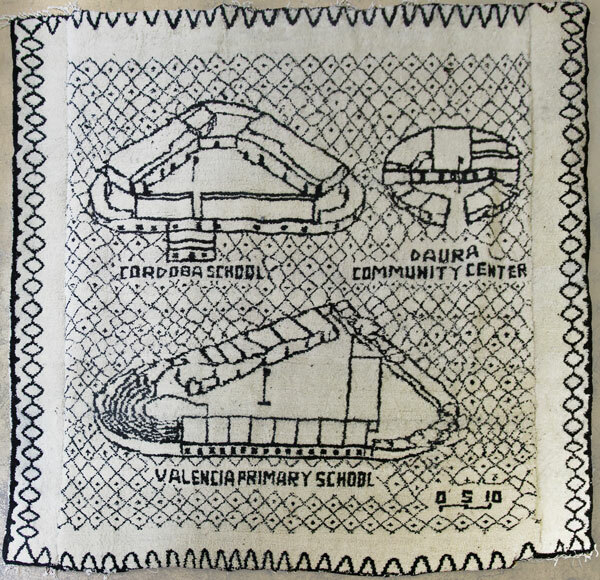 For the tent-shaped pavilion, over 30 women wove tapestries that depict buildings, maps, and conditions in the camps. The organizers of the pavilion argue that by shaping space in this way, refugees are using institutions as tools for social liberation. Organizing via government is not a new or radical method of self-determination, but pavilion organizers hope that their presence in Venice with internationally recognized countries will invigorate debate around sovereignty, deterritorialization, and shaping space in an increasingly post-national world. Architecture of Independence: African Modernism Graham Foundation Madlener House, 4 West Burton Place, Chicago Through April 9, 2016 Based on a book of the same name, Architecture of Independence: African Modernism explores the boom of modernist buildings in sub-Saharan Africa in the 1960s and 1970s. 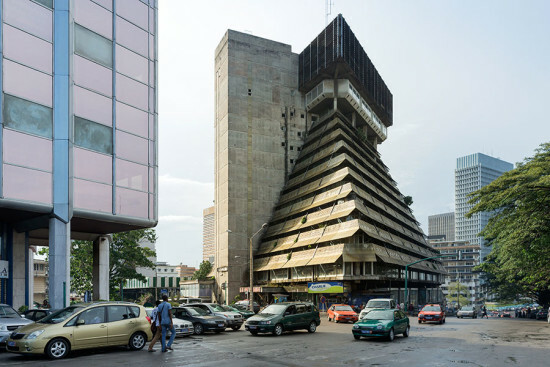 With research by architect and writer Manuel Herz and photographs by Iwan Baan and Alexia Webster, Architecture of Independence looks at 80 buildings in five countries. From new parliament buildings to schools and central banks, the show presents architecture as a means of declaring and expressing independence after centuries of colonization. 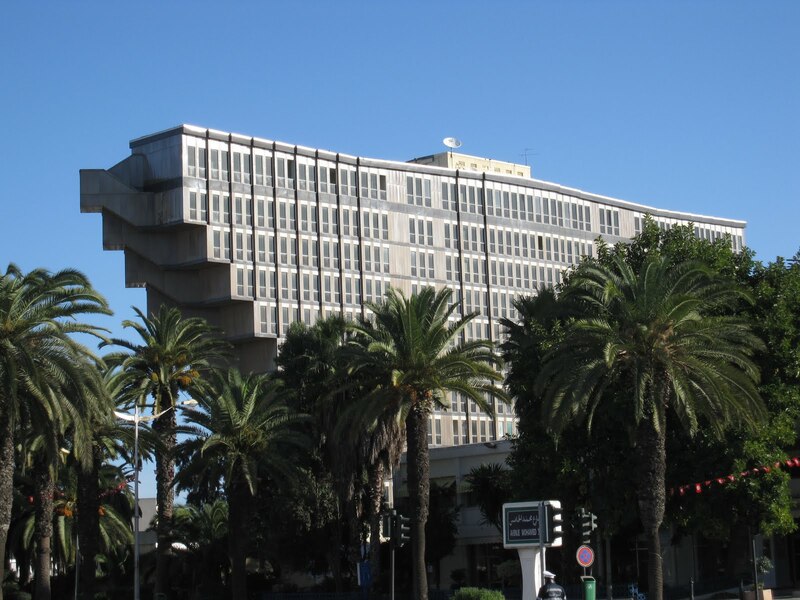 Along with local architects and planners, architects from Poland, Yugoslavia, Scandinavia, Israel, and, surprisingly, former colonial powers, transformed urban and government centers across the continent. This exhibition is being shown for the first time in the United States at the Graham Foundation for Advanced Studies in the Fine Arts in cooperation with the Vitra Design Museum in Weil am Rhein, Germany. Numerous talks and film screenings will accompany the exhibition throughout its run. The Boston-based nonprofit design firm MASS Design Group hopes to see the number of professional designers in Africa grow. 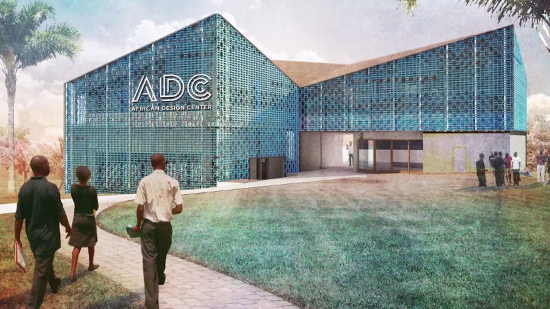 To that end, the firm has unveiled a plan for an architecture and design school in Rwanda called the African Design Center. https://vimeo.com/139968413 Founded in 2010, MASS already has experience in developing areas around the world, including building a number of schools, medical clinics, and houses in sub-Saharan Africa and Haiti. Its latest project, the African Design Center, will also lie in the sub-Saharan area of Kigali, Rwanda, where the firm already has an office. Currently, the firm is raising money for the project with the aim of opening next year. The school will also teach outside of the design discipline with classes available for networking and business development. If a success, MASS will emulate the project in other areas, implementing more schools in the region and hopefully the continent. According to its website, MASS views sub-Saharan Africa as an area that is set for "unprecedented urban growth," and such investment will help develop the economy of the area. 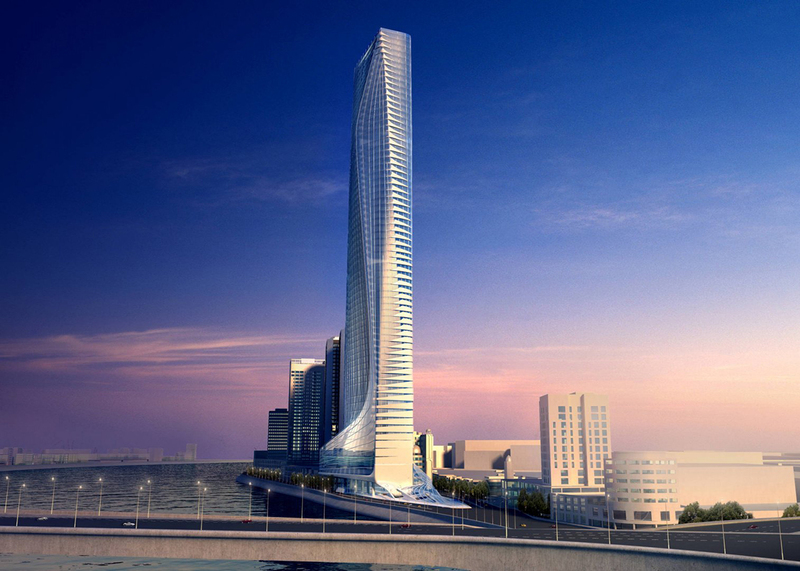 More importantly, the project provides "critical new infrastructure such as housing, schools, and clinics." MASS' Africa office also realized that the continent's growth requires creative services to design future hospitals, schools, and housing. Africa contributes less than one percent to the global creative economy, and it's hoped that the school will nurture the young designers who will form the new sub-Saharan Africa. 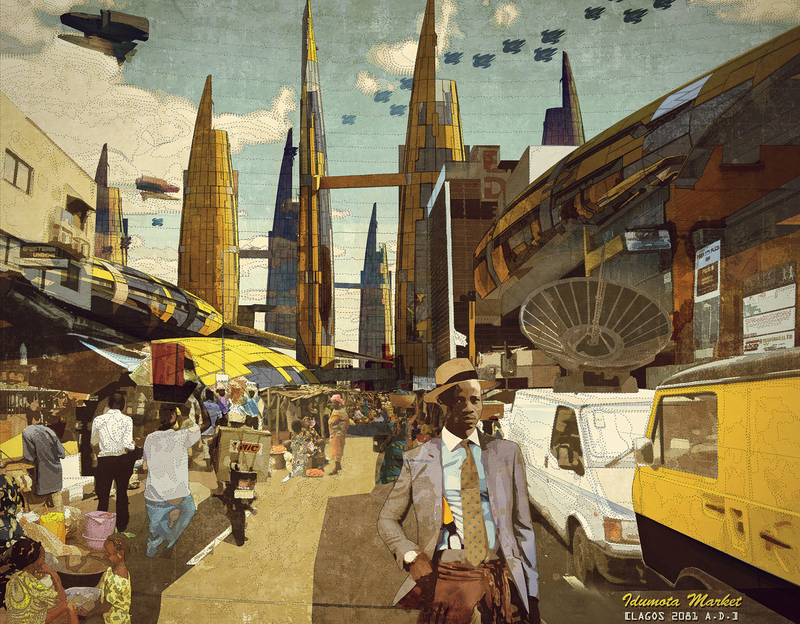 MASS described the project as the "Bauhaus of Africa." MASS isn't the only firm delving into the fertile land of Rwanda. 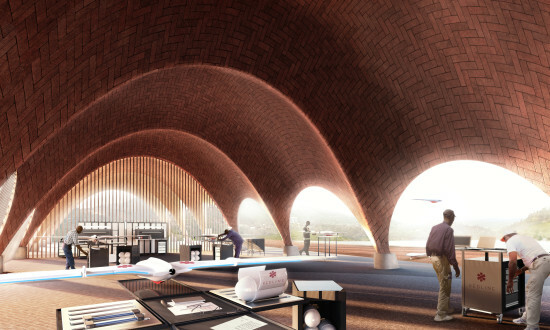 Recently Norman Foster announced a proposal for a drone station to supply emergency medical equipment and act as a form of trade route in the area. 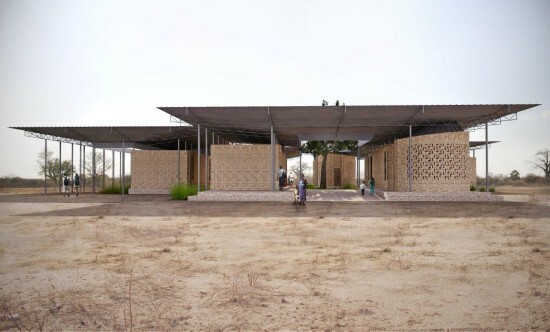 New York City–based Jaklitsch/Gardner Architects has unveiled renderings for the Mizengo Pinda Asali & Nyuki Sanctuary, a beekeeping and honey extraction center near Dodoma, Tanzania. The firm partnered with Follow the Honey, National Beekeeping Supplies, and Nyuki Safari Company to build a complex that supports the local beekeeping economy and serves as a cultural and educational anchor for the community. To foster collaboration and allow for future expansion at the site, the sanctuary complex is organized in a cellular pattern with a series of pavilions around garden courtyards. The pavilion structures are made of mud-fired bricks that are set into interwoven patterns meant to evoke local weaving traditions. The patterns change at each building based on their specific programmatic and ventilation needs. The bricks will be created on-site and with local labor. Metal roofs are lifted above the buildings to allow for natural ventilation throughout the sanctuary. “Our shared vision is that the design of this building will bring a sense of dignity to the enterprise—a place where modern equipment and techniques blend with traditional methods," said Mark Gardner, principal at Jaklitsch/Gardner Architects, in a statement. "An increase in beekeeping education programs offers local farmers and tribal groups the knowledge and skills to become more independent and self-reliant, providing an opportunity to improve their quality of life." The sanctuary is slated to break ground later this year.